Thank you for visiting the residency website for the Sullivan University College of Pharmacy and Health Sciences! We are happy to offer a variety of residency programs to assist you in meeting your personal and professional goals. Sullivan offers traditional PGY-1 Pharmacy Residency programs in conjunction with Frankfort Regional Medical Center, The Center for Health and Wellness at Sullivan University and St. Matthews Community Pharmacy. In addition, we have also partnered with Walgreens Pharmacy to offer a PGY-1 Community Pharmacy Residency. Lastly, for pharmacists with an interest in managed care, we also have collaborated with Passport Health Plan to offer a PGY1 Managed Care Pharmacy Residency. Rotation experiences offered at the primary residency site are complemented by longitudinal experiences and monthly rotations with many of the Sullivan University College of Pharmacy and Health Sciences Clinical and Administrative Sciences faculty. All residency programs are fully accredited by ASHP. For more information on each of our residency programs, please visit the PGY1 Residency Opportunities page. If you would like further details about any of the residency opportunities, please feel free to contact the residency director listed with that program or contact me directly. All completed materials should be submitted to PhORCAS by the First Friday in January for candidates to be considered. Sullivan University College of Pharmacy and Health Sciences is proud to offer a PGY-1 Residency affiliated with The Center for Health & Wellness and St. Matthews Community Pharmacy. This program has an emphasis on ambulatory care and academia, and will accept four (4) residents per year. Three (3) residents will practice primarily with academic-based clinical faculty of Sullivan University’s College of Pharmacy and Health Sciences. The fourth position will be stationed at the St. Matthews Community Pharmacy with an emphasis on independent community pharmacy practice, and will also have longitudinal experiences with faculty. This will be customized to the resident’s interests/goals as a future independent community practitioner under the existing residency program structure and requirements. The residency program is accredited by the American Society of Health-System Pharmacists. This residency is a collaboration between the Sullivan University College of Pharmacy and Health Sciences and Frankfort Regional Medical Center. Combining an exceptional clinical pharmacy practice with a strong academic facility, residents are provided a challenging learning environment to enhance their skills. The majority of the resident’s time will be spent at Frankfort Regional Medical Center located in the picturesque capital city of Kentucky. This program currently accepts one resident and is fully accredited by ASHP while allowing individualization of the resident’s long-term goals. The Medicaid Center of Excellence (MCOE), a partnership with Evolent Health and Passport Health Plan, has joined with Sullivan University College of Pharmacy and Health Sciences to deliver a postgraduate training opportunity for pharmacists to expand their skills in the area of managed care pharmacy. The PGY1 residency program provides managed care training at the MCOE in Louisville, KY. With an emphasis on Medicaid, the program offers exposure to a variety of lines of business and learning experiences where the resident will be an integral part of the pharmacy team. The residency program is accredited by the American Society of Health-System Pharmacists and the Academy of Managed Care Pharmacy. Walgreens Community Pharmacy Residency Program is a postgraduate training opportunity for pharmacists to enhance their skill set in the community pharmacy setting. The residency is academically affiliated and financially supported in part by the Sullivan University College of Pharmacy and Health Sciences. This PGY1 residency program build on Doctor of Pharmacy (Pharm.D.) education and outcomes to contribute to the development of clinical pharmacists responsible for medication-related care of patients with a wide range of conditions, eligible for board certification, and eligible for postgraduate year two (PGY2) pharmacy residency training. The residency experience is located in Louisville, KY and Southern Indiana with the main site located at the Walgreens Specialty site in downtown Louisville. This residency will allow the pharmacist to build on his or her professional skills by providing a variety of patient care services. Residents will have a direct influence on patient outcomes through participation in patient counseling, immunization services, community events, specialty pharmacy, disease state management, and Medication Therapy Management. There will be additional experiences with established HIV programs in the Louisville and southern Indiana areas. Residents will also work to develop collaboration with other area providers and community stakeholders. The pharmacist will complete a teaching certificate program and will assist in teaching opportunities and precepting experiences for the Sullivan University College of Pharmacy and Health Sciences. The residency program graduates will be leaders in the pharmacy community and will have an active role in advancing community pharmacy practice. This program is fully accredited from the American Society of Health-System Pharmacists (ASHP) and the American Pharmacists Association (APhA). Great Lakes Residency Conference Several Sullivan University College of Pharmacy and Health Sciences residents attend and present at the Great Lakes Residency Conference held every spring. The Annual Great Lakes Pharmacy Residency Conference will be held April 23-26, 2019, at Purdue University.  Sullivan University College of Pharmacy and Health Sciences offers pharmacy residents and preceptors in the Louisville area an opportunity to obtain a certificate in teaching. All College of Pharmacy and Health Sciences-funded residents are required to get their teaching certificate. This program offers a breadth of experiences in the didactic and experiential setting, seminars devoted to the pedagogy of teaching and precepting, as well as a teaching mentor to provide guidance and feedback throughout the year.